31 editions of Freakonomics found in the catalog. Add another edition? Are you sure you want to remove Freakonomics from your list? 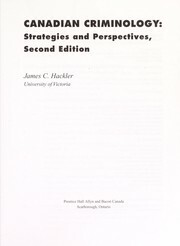 Published 2005 by William Morrow in New York, USA . These may not sound like typical questions for an economist to ask. But Steven D. Levitt is not a typical economist. He is a much heralded scholar who studies the stuff and riddles of everyday life-; from cheating and crime to sports and child rearing-; and whose conclusions regularly turn the conventional wisdom on its head. He usually begins with a mountain of data and a simple, unasked question. Some of these questions concern life-and-death issues; others have an admittedly freakish quality. 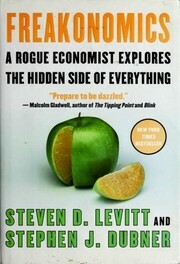 Thus the new field of study contained in this book: freakonomics. 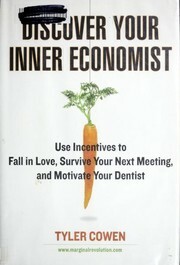 Through forceful storytelling and wry insight, Levitt and co-author Stephen J. Dubner show that economics is, at root, the study of incentives-; how people get what they want, or need, especially when other people want or need the same thing. 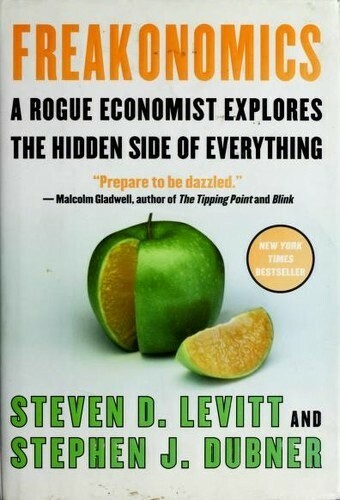 In "Freakonomics," they set out to explore the hidden side of ... well, everything. The inner workings of a crack gang. The truth about real-estate agents. The myths of campaign finance. The telltale marks of a cheating schoolteacher. The secrets of the Ku Klux Klan. 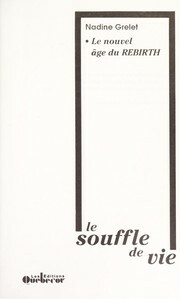 What unites all these stories is a belief that the modern world, despite a surfeit of obfuscation, complication, and downright deceit, is not impenetrable, is not unknowable, and-; if the right questions are asked-; is even more intriguing than we think. All it takes is a new way of looking. Steven Levitt, through devilishly clever and clear-eyed thinking, shows how to seethrough all the clutter. "Freakonomics" establishes this unconventional premise: If morality represents how we would like the world to work, then economics represents how it actually does work. It is true that readers of this book will be armed with enough riddles and stories to last a thousand cocktail parties. But "Freakonomics" can provide more than that. It will literally redefine the way we view the modern world. Anyone living in the United States in the early 1990s and paying even a whisper of attention to the nightly news or a daily paper could be forgiven for having been scared out of his skin. Perfect parenting, Part II; or : would a Roshanda by any other name smell as sweet? Epilogue : two paths to Harvard. February 23, 2019 Edited by Lisa Added edition details from linked copy.